Traveling by train has its charm. In the era between traveling by horse and by plane, trains dominated the transport of people and goods (they still do, of course, but mainly for short routes). There are some trains that stick in the collective imagination. For instance the Orient Express, that makes the link between Paris and Istanbul; The Darjeeling Himalayan Railway, whose fictionalized version is presented in Wes Anderson’s movie “The Darjeeling Limited”; and the Polar Express (from the movie of the same title) that takes kids to the North Pole to meet Santa Claus. A train just like the latter, but definitely much more real, is the one that we’ll talk about today: the Lapland Express. Traveling in a straight line, there are 704 kilometers between Helsinki and Rovaniemi. The shortest road route between these two cities is 827 kilometers. It is definitely a long distance to reach the capital of the Finnish Lapland from the capital of Finland, and we also have to take into account that there is a lot more Lapland north of Rovaniemi. But in the north of Finland and Lapland is where the best places to see the Northern Lights are . Plus, each winter Rovaniemi turns into the World Capital of Christmas, since Santa Claus lives there. So, when planning our trip to Lapland, besides the option of taking a flight, starting this November we can head there on take a high speed train between Rovaniemi and Helsinki. Even though the VR – the state-owned railway company of Finland – didn’t give this train line this name, in my opinion they should have… because it sounds awesome. This train doesn’t take you to the North Pole like the Polar Express, the one that we mentioned at the beginning, does. This one goes right to the Arctic Circle (in this YLE article  they called it the “Arctic Express“), and is one of the fastest trains in Finland. This, though, might not be saying a lot: it will cover the route between Rovaniemi and the capital of Finland in 8 hours, which is definitely an improvement over the 14 hours that the normal train takes. These trains – Pendolino models – of the Lapland Express will reach 220 km/hour and at first there will only be one per week per route. The Helsinki-Rovaniemi train leaves on Saturday at 09:30 and arrives at 17:45. 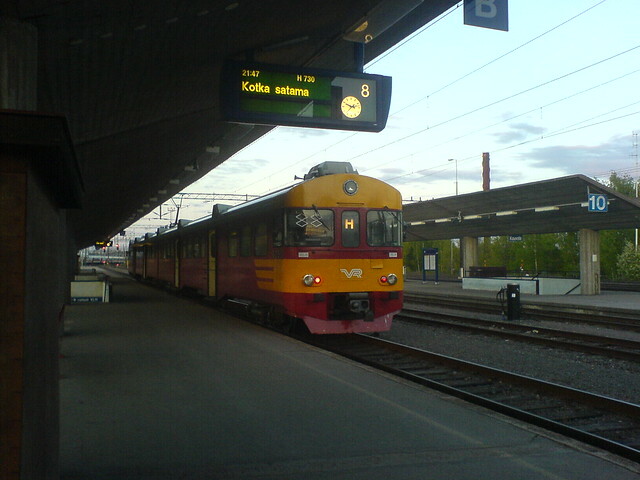 The train back, Rovaniemi-Helsinki, leaves on Sunday around 15:00 and reaches the capital at around midnight. In any case, and to be sure of the timetables and be aware of the possible changes, check out the VR trains website . Perfect for a weekend visit to Joulupukki (the Finnish  name for Father Christmas) and to head back to Helsinki, this new train link is definitely one of the many things to see on a trip to Finland . What is your recommended way to travel to Lapland? Have you paid a visit to Joulupukki yet?